Although Western media regularly claim no “motive” for many of the Islamic attacks on non-Muslims, many are by now at least vaguely aware that the Muslim perpetrators rely on generic Islamic teachings that foster hostility for non-Muslims. Take the recent attack on St. Peter’s Cathedral in Egypt, which left at least 25 Christian worshippers—the majority of whom were women and children—dead and which ISIS claimed. 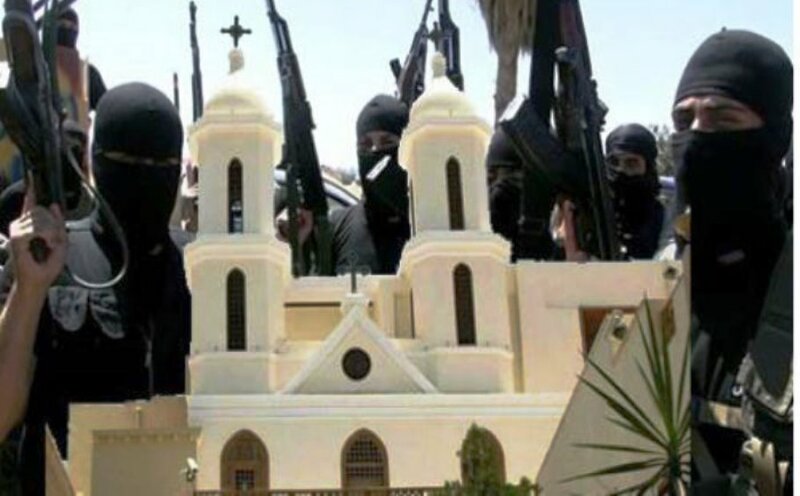 While many might write it off as just another generic attack targeting Coptic Christian “infidels,” the reality is that ISIS and other Islamic groups and individuals relied on arcane and little known Islamic rulings to justify their violence. For instance, why was St. Peter’s specifically targeted? The obvious answer is that it holds a prestigious place among the Coptic Orthodox community, as it stands within the St. Mark complex, the seat of the Coptic Pope in Cairo, Egypt’s capital. All this is related to the mainstream Islamic view concerning non-Muslim places of worship: if they existed when Islam’s historic jihadis invaded the land, and if the native people surrendered peacefully, they may continue to exist (though never repaired); if, on the other hand, the native people resisted the invading Muslims, then all existing churches must be destroyed. In both cases new churches are not allowed to be built. As it happens, modern Cairo was founded in the 10th century, nearly 400 hundred years after Islam first invaded and conquered Coptic Egypt. Thus, according to the Islamic worldview, under no circumstances should there be any churches in Cairo, since, according to this notion, it was Islamic from its inception. But of course Western analysts may be excused for being ignorant of this arcane ruling. After all, if Sunni militants such as ISIS are zealous over the welfare of Sunni cities, most of them are equally ignorant of the ironic fact that Cairo—even Al Azhar, the world’s most famous Sunni school—were founded by and served the interests of one of Sunni Islam’s greatest historic enemies: the Shias of the Fatimid dynasty.